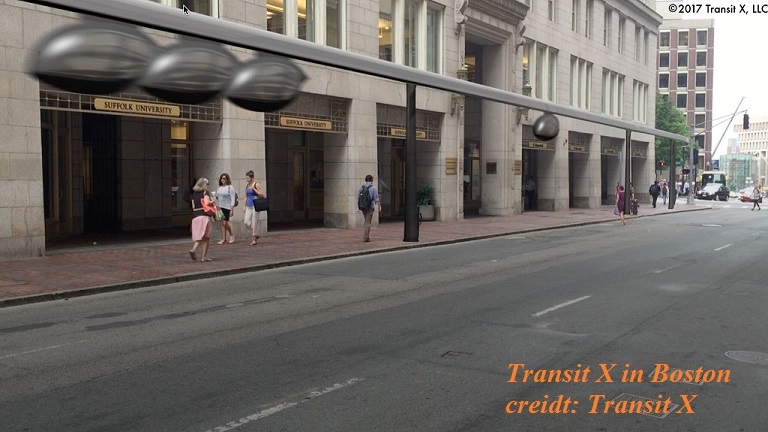 Solar Powered Flying Pods of Transit X Are Coming! 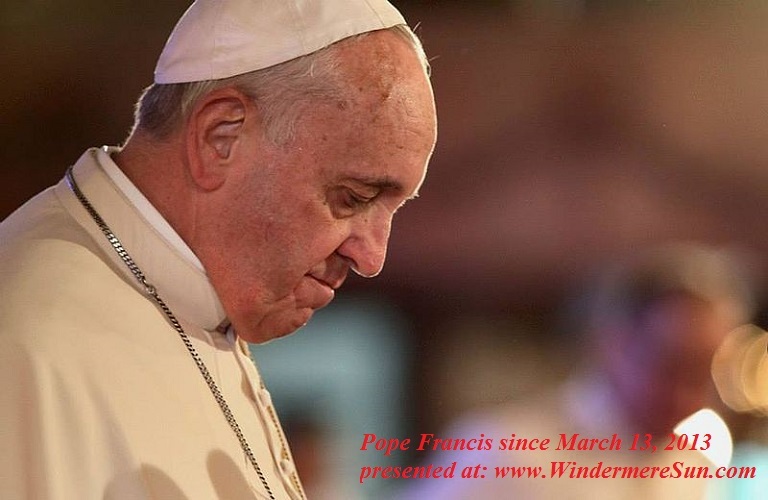 Below, is a repost from our sister publication, Windermere Sun. 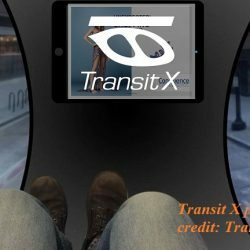 After a week of reporting on Trump affairs, I really have to thank Dave Finnigan (of jugglingedge.com) for bringing to my attention a much more refreshing topic, a solar powered, quiet, clean, and efficient mass transit system, developed by Transit X.
TransitX-3m-slides for MIT Solve from Mike Stanley on Vimeo. 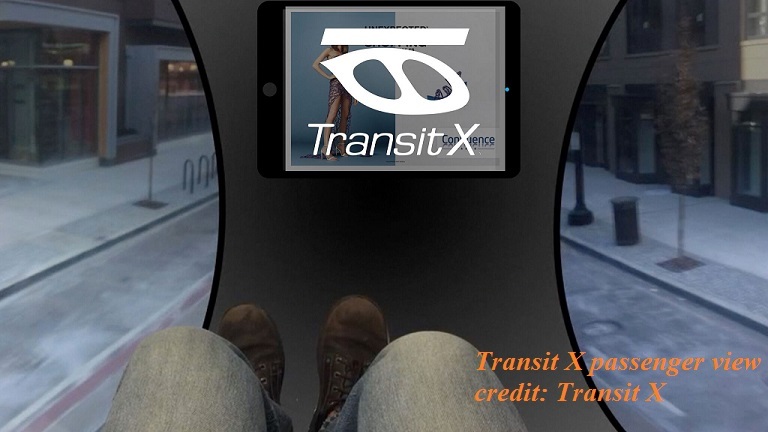 cTransitX Indiegogo video v2 from Mike Stanley on Vimeo.Can you envision our future world, where commuters would have access to wait-free, pollution-free, and accidents-free commute, 24/7 available, autopiloted within cities, beside highways, and along rail corridors? 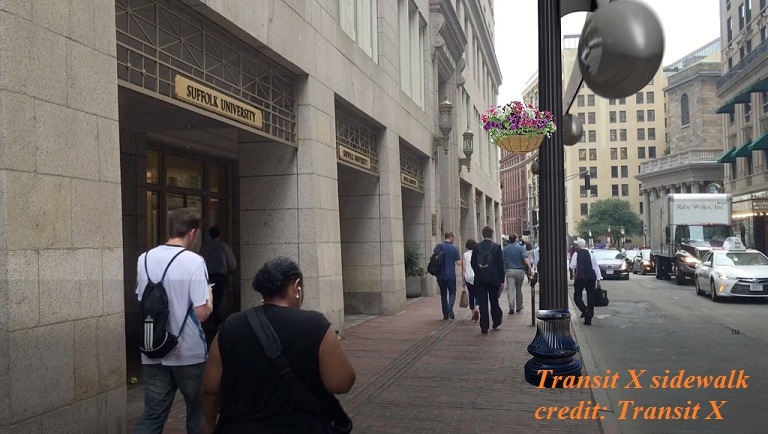 It is a privately-funded surface transportation network with the convenience, capacity, and cost that would offer much relief for our current buses, trains, cars, trucks, and short flights. With our current earthly population of over 7 billion, growing toward 9 billion, we will be needing much help with our current transporting system. 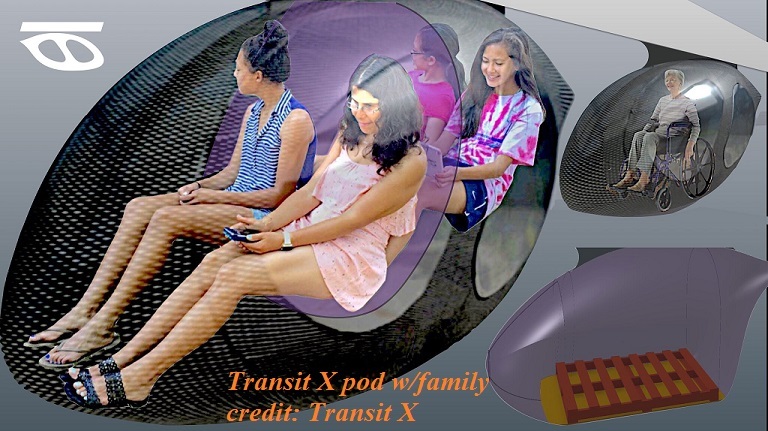 Transit X pods may be the perfect solution for our 21st century transportation network, beyond what the Jestsons sic-fi cartoon offers, by having its autopilot feature and seating from one to five. It would also be a great way to help reduce the rate of climate change. It is 100% solar powered, with solar cells on the track providing the energy to charge pods, and therefore providing carbon-free and zero pollution. It is fast, with nonstop travel at 45 mph (72km/h) along main pods and 135 mph (217 km/h) along highways. It is much safer than our current roadway system, about 100,000 times safer, according to Transit X founders. Cities and towns can apply now to begin service in 2019. Installation is fast and not disruptive to neighborhoods. 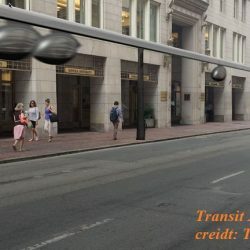 The first pilot will be ready in Boston, MA by end of 2018. Interview with Founder and CEO of Transit X from Mike Stanley on Vimeo. 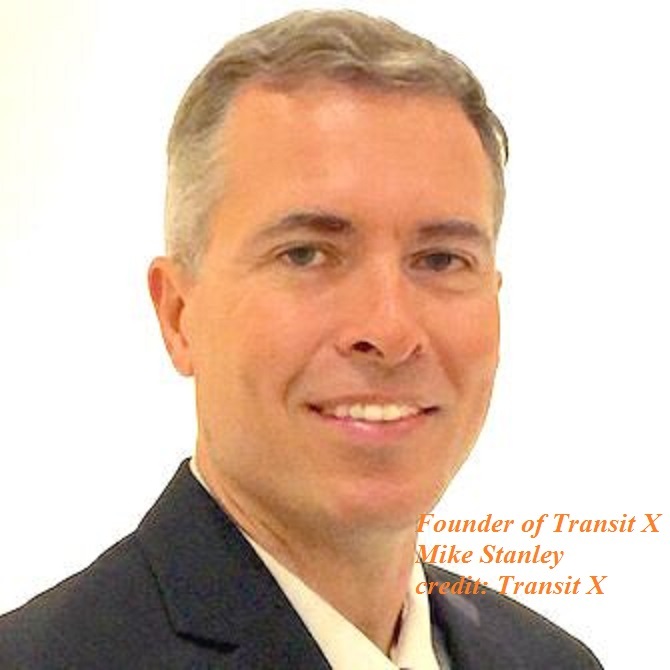 Transit X for Oct 27 Transit Technology Day from Mike Stanley above. NBC Boston Bridgewater from Mike Stanley above. About three weeks ago, Mike Stanley was here in Central Florida to give a demonstration/talk about Transit X, for Osceola County Commissioner Transportation meeting, Orlando City Commissioner (of District 4) Patty Sheehan, and Orlando City Director of Sustainability Chris Castro. 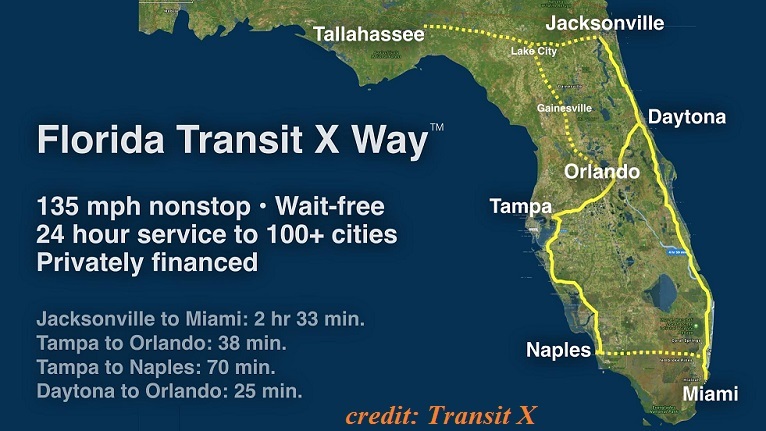 Subsequently, Dave Finnigan gave a two minute presentation to Metropolitan Orlando about Transit X, and also briefed Carolyn Fennell (of Airport Authority), Nicole Liquori (CEO of Sunrail), Eric Johnson (CEO of Lynx), and Laura Kelley (Director of Central Florida Expressway Authority) about Transit X. This is the way of the future! For those of you/us participating in its realization may help to save our planet earth! Elon Musk/Tesla Never Fails To Bring Us Good News! After all that’s been going on with Trump Administration this week, I seriously need to report/share on some topics that would make me feel good. Last night, as I came across an article about Tesla’s dual-engine or dual motor design, I realized that I never did report, in detail, about this intriguing design in the past. I’ve known about Tesla’s self-driving or autopilot optional feature in Tesla Model S/X/3, but did not mention much about its dual motor design until last night. It is very impressive both in its efficiency and optimized outcome in speed and acceleration. It can go from 0 to 60 mph in 3.20 seconds, with top speed at 155 mph. 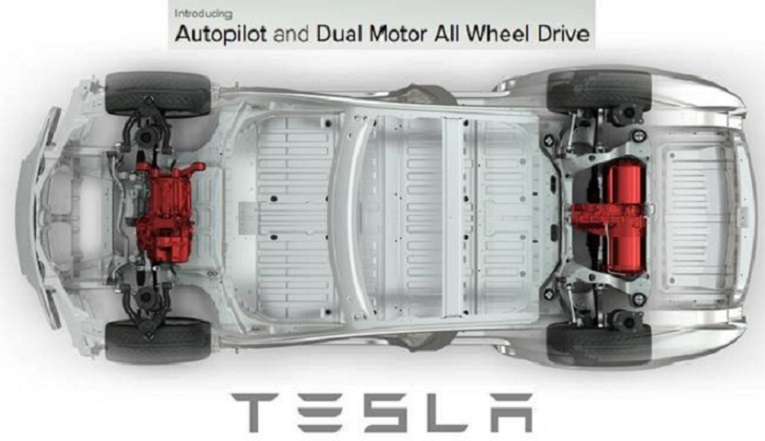 Any of the Tesla cars that comes with dual motor/engine would come with “D” in its model name. In the video below, one can see the front drive unit and rear drive unit of Model S. Its uniqueness is in its ability to be able to shift its dynamic power from front to rear in a matter of millilseconds. So its torque can be quickly adjusted, much better and quicker than the historical mechanically linked system (linked with the shaft). So, this is a design equivalent to the digital system, replacing the old analog system. Its constant optimal efficiency level is actually able to compensate for the increased mass of a dual motor design. Every thing is improved with this design. In Elon Musk’s words, “it’s like having your own roller coaster.” It is actually coming with the option of having 3 settings: Normal, Sport, and Insane. Elon Musk also assured us that future designs of Tesla will continue to improve. The more affordable Tesla’s Model 3 (costing about $35,000) should be arriving by the end of 2017. Model 3 of 2017 currently comes with single motor, and Model 3 dual motor design can be ordered in 2018. I was also very happy to find out about Elon Musk’s presentation in December of 2016 for Tesla Solar Roof. So, hopefully one day, soon in the future, we will be able to order an autopilot, dual motor, solar powered car from Tesla. In the mean time, apparently Tesla is also planning on bringing a new compact SUV to the market. This vehicle will be the crossover version of the Model 3 and will be called Model Y, expected to be rolled out by 2020. One thing to be certain, Elon Musk/Tesla never fails to bring us good news! 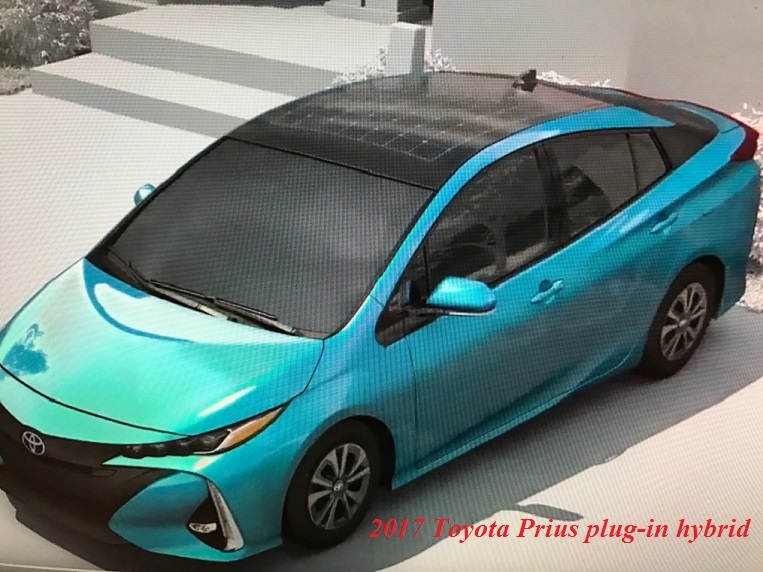 Please speed up the process of designing for that Dual-Motor, Autopilot, Solar Powered Tesla car…for it will be the solution to energy, pollution, and auto-accidents.